Home > Marketing > How do I configure the email newsletter subscription page? 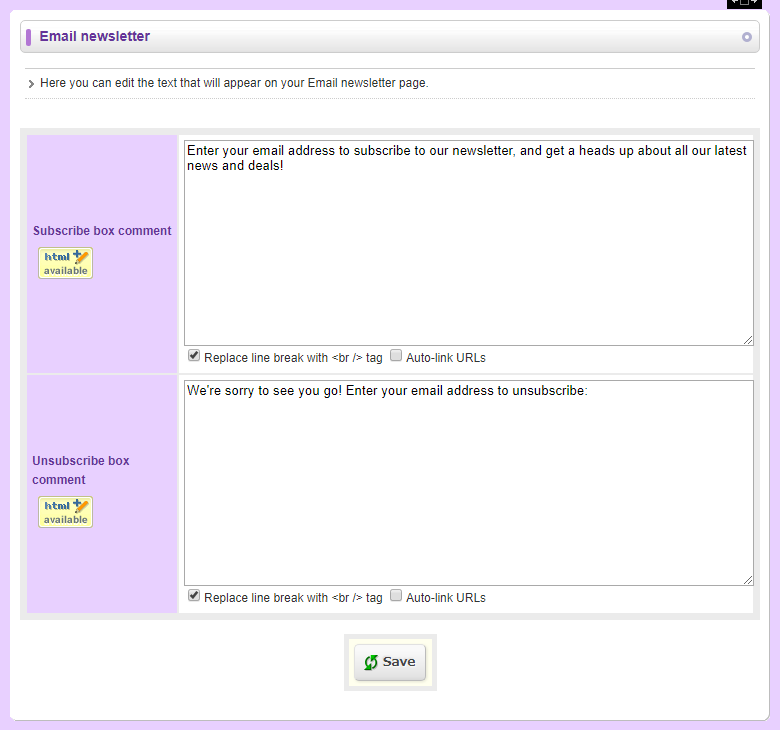 Q.How do I configure the email newsletter subscription page? Navigate to Operations → Email newsletter. 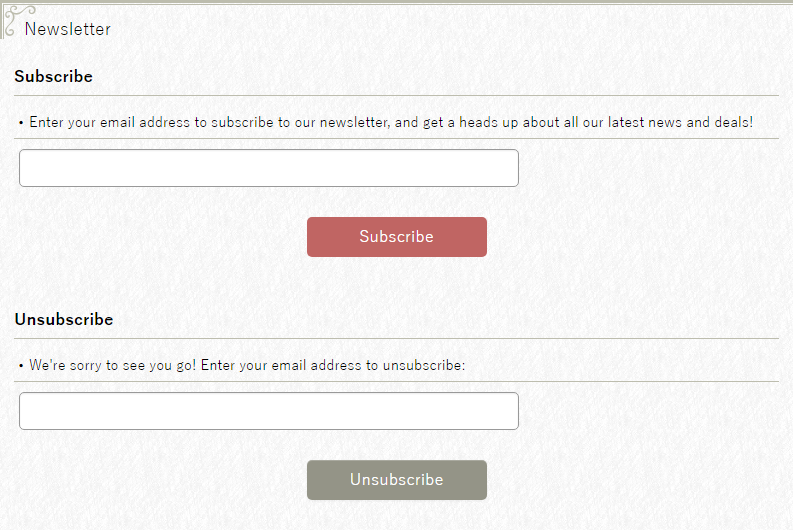 You can enter text to display above the subscribe and unsubscribe boxes, as in the following. How do I configure main page layout? Page name can be changed at Design → Page titles. The default page name is Email newsletter.